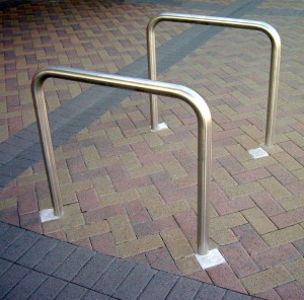 Hoop Barriers manufactured in any size, to suit any situation in mild or stainless steel. we have Hoop Barriers to suit your site. Mild steel models can be provided in a powder coated finish to give a hi-viz finish or to represent your corporate colours. Stainless steel Hoop Barriers can be supplied in mill finish or satin or mirror polished.